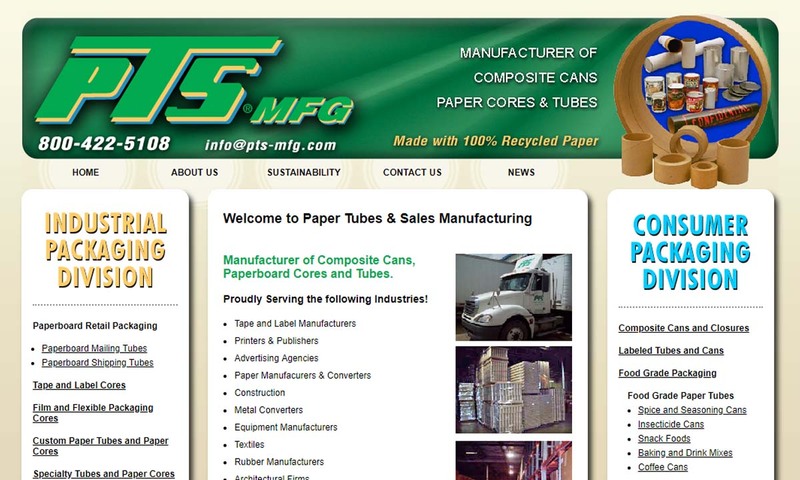 A reliable source for Paper Tubes information and a resource for accessing leading Paper Tubes and suppliers. Paper tubes, also known as cardboard tubes, are cylinder-shaped components that are made with cardboard. Paper tubes can be used for a wide range of functions. 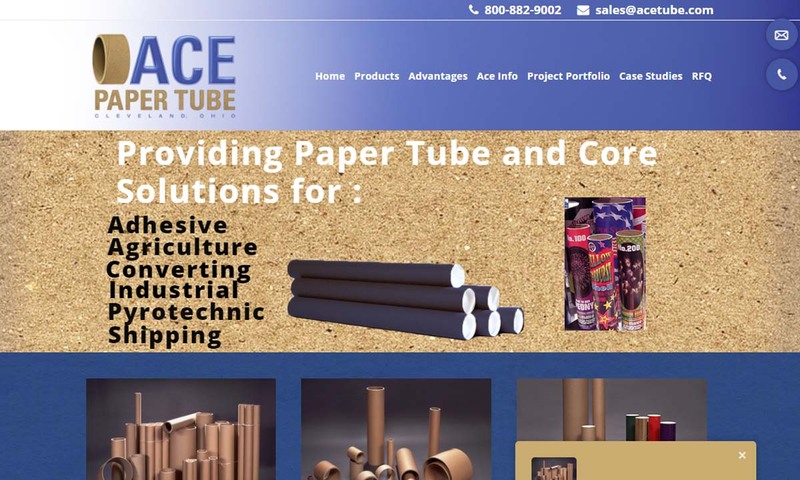 Typical paper tube applications include shipping and mailing, cartridge fabrication, crafts, concrete pillar construction, structural support (posters, paper towels, etc. ), storage (documents, art, food, etc.) and gardening pots. Paper Tubes Paper tubes, also known as cardboard tubes, are cylinder-shaped components that are made with cardboard. Paper tubes can be used for a wide range of functions. Typical paper tube applications include shipping and mailing, cartridge fabrication, crafts, concrete pillar construction, structural support (posters, paper towels, etc. ), storage (documents, art, food, etc.) and gardening pots. As a member of the Member of the Independent Converters Association, we know the business of cardboard tubes. Our tubes are some of the strongest in the industry and we can meet a huge variety of needs from many different industries. 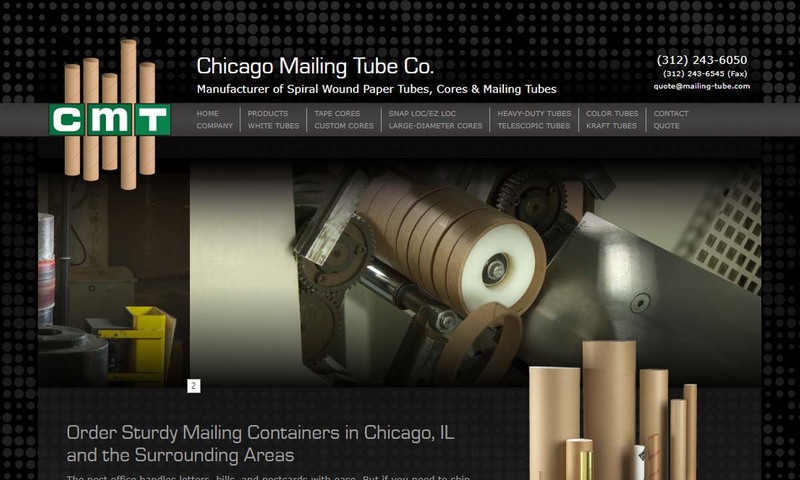 Chicago Mailing Tube is a premier manufacturer of custom paper tubes, containers, and cores, providing products that are both high quality and economical. CMT has been meeting custom size and design requirements for its customers since 1902. 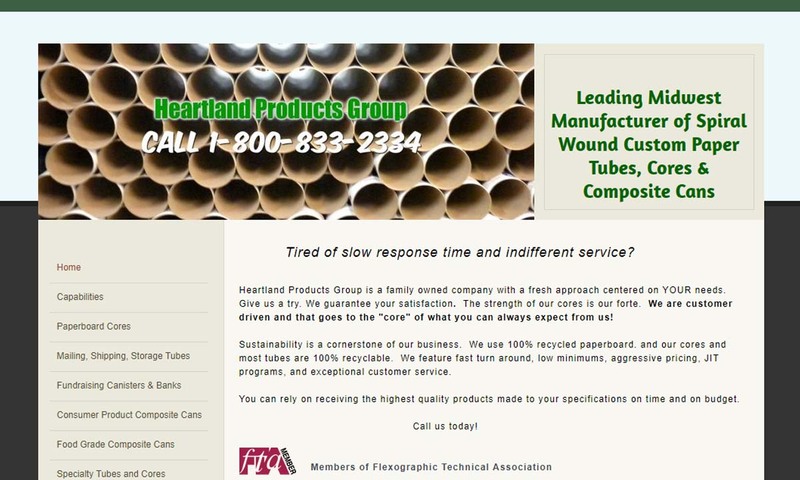 For quality, 100% recyclable cardboard tubes, look no further than Heartland Products. We serve customers throughout the United States with the highest quality products, all made to specific requirements both on budget and on time. Paper tube history is related to the histories of both paper and cardboard. As far as we know, paper was born in China. Records tell us that, in 105 AD, Ts’ai Lun, servant to the Chinese emperor Ho Ti, invented it by making pulp from rags and fishing nets. He later improved his paper from pulped plant fibers. Its use gradually spread throughout the world, and by 1495, workers in England were maintaining the first paper mill in England. As for cardboard, that too originated with the Chinese. In the 1600s, they made a thick proto-cardboard paper that they used for packaging. Paper tubes as we know them today were born after the mid-1800s, after the invention of the wood grinding machine. Invented in 1843 in Germany, this machine allowed manufacturers to grind wood into a pulp they could use to make paper. From them, manufacturers eventually began fabricating the older sibling of paper tubes, cardboard boxes. Though there is some debate on when people first began making cardboard boxes, we generally believe that the first person to make a cardboard box was Scottish-American, Robert Blair. In 1890, he invented the pre-cut paper box, which made for better shipping of flat manufactured items. After this, paper boxes became very popular. By 1906, they were a staple in the Kellogg factory, where the Kellogg brothers used them to mass-package Cornflakes. Around 1903, manufacturers in London began fabricating paper tube packaging. They used them as storage systems, as protective shells and as cores around which they wrapped fabric, papers and the like. Over the course of the 1900s, engineers and scientists came up with new materials and better technology, and paper tube manufacturers took full advantage. For example, for many applications, they began adding inner linings to their tubes. They also learned how to efficiently make more durable paper tubes. Today, paper tube manufacturing is as popular as ever. Paper tube manufacturers are pleased to be able to say that paper tubes are recyclable and reusable, but they continue to strive towards greater levels of sustainability. As time goes on, we can expect to see more of this. Paper tube production starts with manufacturers cutting large sheets of paper or cardboard into thin ribbons. From there, they give the ribbons an adhesive coating and wind them straight or at an angle around a mandrel configured into the designated shape. The majority of cardboard tubes are spiral-wound. Manufacturers can add multiple layers during this step, depending on the tube’s desired level of fortitude. All paper tubes are measured and labeled according to their interior dimensions. To make waterproof and water-resistant cardboard for certain heavy-duty applications, manufacturers add additional adhesives and interior waterproof sealing layers during the fabricating process. After they make the mixture of resin, wood pulp and adhesive, they will cure it and send it through additional curing within an oven. During the heat treatment process, the pulp melds with the adhesives in order to strengthen the final product, which is more durable and resilient to humidity and other forms of weather. These attributes are important in transportation and storage, in which products are at an additional risk of damage from moisture. Paper tubes are fabricated from wood pulp in the form of cardboard, recycled paper, waterproof/water resistant cardboard, paper-adhesive composites, kraft paper, paperboard, and fiberboard. 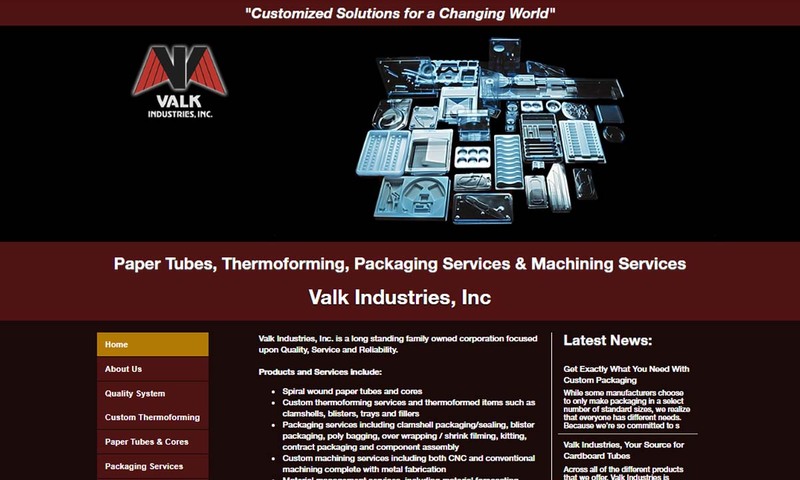 In addition, tube suppliers can customize tubes with additions such as decorative foil or paper coatings, product information and/or logos printed on the outside of the tube, and different colors, designs, and patterns. The latter is common with gift packaging and holiday-themed postal tubes. Both of the shipping tube’s ends are sealed with a plastic plug for postal and transportation purposes, especially for scientific or medical products, or confidential documents. Both ends may be sealed, or they may fold in and close. To formally classify the tube, manufacturers measure the interior dimensions, the thickness of the tube’s wall, and the closing spaces at either end. Paper cores are cores that provide structural fortitude to items such as toilet paper, paper towels, rolls of fabric, electrical wires, coin banks, and grease cartridges used for mechanical and automotive applications. Cores like this are usually named after their application (e.g. toilet paper tubes and paper towel roll cores). 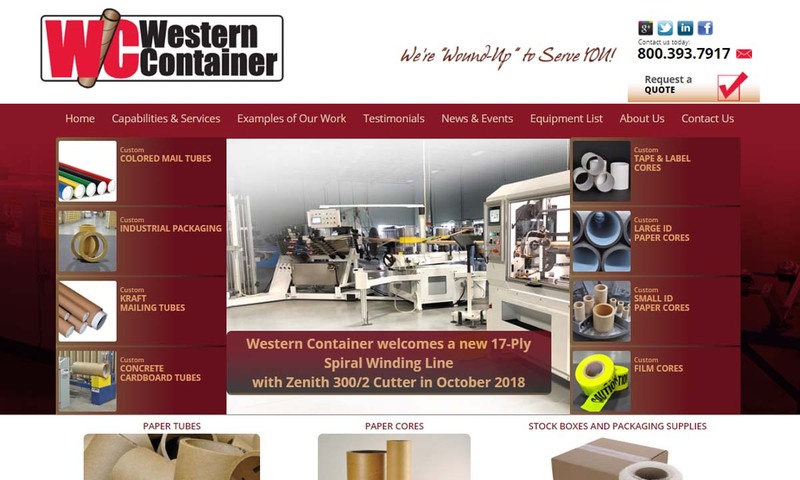 Shipping tubes, also known as mailing tubes, are used to ship things that can be rolled up into a cylindrical shape, such as documents, posters, papers, or pieces of artwork. Mailing tubes are designed to shield products from denting, bumping, or breaking while in transit. As such, they are much stronger than other types of containers, including boxes. Kraft tubes are tubes made from high quality kraft paper. They are very resilient and are capable of enduring the stress and pressure that comes with transit and transportation processes. They are recommended as postal tubes and other types of tubing for shipping and packaging applications. Caulking tubes are spiral wound tubes used for construction purposes. Namely, they help dispense caulk, a substance that seals seams and joints, from caulking guns. To use them, you insert them into a caulk gun and then add a plastic spout or nozzle and a plastic cap at the end. Sonotubes are heavy-duty cardboard tubes used by contractors and construction businesses to form concrete pillars. Paper cans are used for packaging merchandise and goods such as cosmetics and foods. One important thing to keep in mind is that cardboard is porous. Therefore, for applications such as food processing or electrical wiring, a layer of non-porous material may have to be added in order to protect the tube’s contents from additional and potentially hazardous moisture. Paper tubes offer many benefits. First, they are flexible and strong. Second, the cylindrical shape of the tube enables it to contain items which are preferably not folded, such as artwork, maps, posters, and blueprints. In addition, they can be easily reused and recycled. In fact, paper tubes are commonly fabricated recycled paper, so they support sustainability two times over. Also, because they are recyclable, paper tubes are a cost-effective alternative to other materials such as metal, glass, plastic, or wood. Furthermore, cardboard is easier to cut, purchase, and dispose of, compared to most other materials. In terms of strength-to-weight ratio, cardboard is often times favored over plastic and metal because of its light weight and durability. Heavy-duty cardboard tubes are much less prone to denting and breakage, making this type of cardboard ideal for high-impact mailing and shipping applications. Common paper tube accessories include sealants and end caps. Sealants and coatings like them fortify paper tubes against damage from moisture, insects, chemicals, cold, heat, and the like. End caps, along with plugs and seals, keep the contents inside the tubes from sliding out or becoming damaged. While paper tubes can be fairly durable and they are recyclable, you want to treat them with care, so that you can use them for as long as possible. In addition, by protecting your paper tubes, you are protecting the contents inside them. Keep both safe by heeding the following pieces of advice. 1. First, let’s talk about storage. Always store your tubes where they can’t get bent or crushed. You can stack them horizontally if you don’t place anything heavy on top of them. The best choice, though, is to stand them up vertically. It’s also important that you store them somewhere dry and not humid. Moisture, including humidity, can do anything to tubes from weakening them to destroying them. If you cannot store your tubes in a moisture-free environment, at the very least, you need to wrap them in a barrier such as protective plastic. Finally, you need to be on the lookout for insects and pests. Cardboard and glue are a treat for many bugs, such as carpet beetles and termites. Keep your paper tubes and their contents safe by storing them safely away from insects. You may also want to consider spraying around the area before bringing in your tubes. 2. Second, let’s talk about use. As we have already mentioned, moisture is kryptonite to paper tubes. So, in the same way that you store them away from moisture, do your best to keep them out of the rain and snow when you transport them. In addition, always be aware of any heat sources near your tubes. Because of the materials with which they are made, paper tubes are extremely flammable. Do your best to keep them away from sparks and open flames. The standards to which your paper tubes should adhere depend on your application and industry. If your paper tubes will come in contact with food, for example, they will need to meet the standards of the FDA and possibly the standards of NSF International. In addition, we recommend that your paper tubes be SFI (Sustainable Forestry Initiative) certified or certified by a comparable sustainability standard. This way, you will know that your paper tubes have been made with materials gleaned from their source in a way that supports climate care. For general high quality, look for paper tubes that have been certified by ASTM International. As always, for the most applicable advice, consult with your industry leaders and your manufacturer. To get the right paper tubes, you need more than a great manufacturer–you need the right manufacturer. Who is the right manufacturer? The right manufacturer will be able to offer you the customizations you need, the product volume you require, and the certifications you want. On top of that, they’ll be able to deliver you a high-quality product within your budget and your deadline.  Find a manufacturer like this by checking out those we have listed here. All of those with whom we work are proven industry leaders. To check out their offerings, click on their website links, which you will find interspersed throughout this page. Good luck!